One day unsanctioned tournament.Two Rounds. Pro divisions only. Be advised that we will be monitoring registration for sandbagging. We reserve the right to put you in the division that you belong. Please register for your appropriate skill level. Wait lists are division specific. Full registration fee required as a deposit to get on a waitlist. Division caps will be lifted April 21 (3 weeks after registration opens). Lunch will NOT be provided. Please pack and bring your own as there are no realistic options for buying a lunch between 1st and 2nd round. Hole sponsorship available under registration. Get your name/company on a tee sign during the tournament. All proceeds go toward payouts. 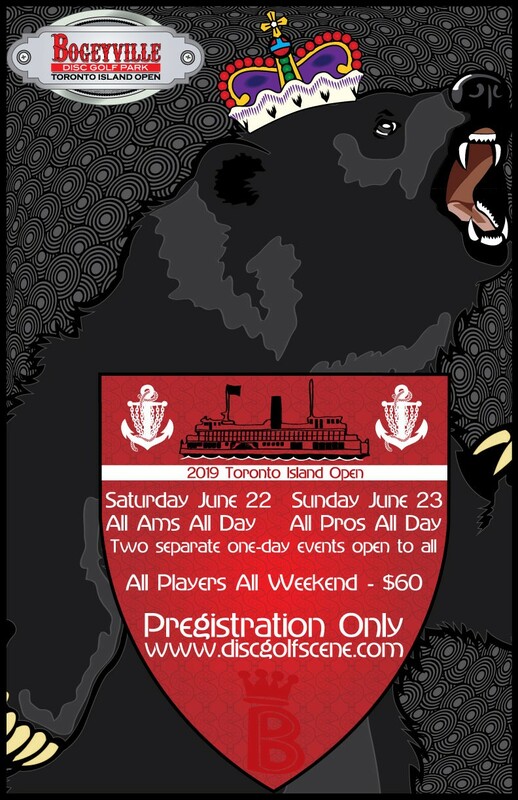 Toronto Island Open is responsible for all refunds/cancelations.